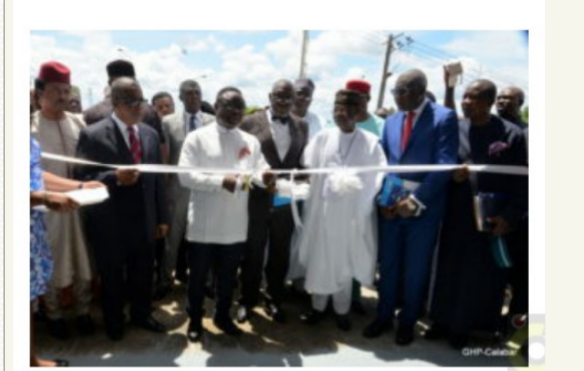 The plant, operated by Gospell Digital Technology was commissioned today Thursday by Cross River Governor, Senator Ben Ayade who said the state will partner the company to ensure it breaks the difficult terrain to ensure broadcasting is made easier and information delivered more efficiently. Mr. Ayade said the smart city project of the state which is nearing completion will provide a backbone for a smart technology integration and disclosed that the installation of hotspots for the 12 Kilometer Carnival Calabar route has been completed. On local content, the Governor said that: “Most importantly we will like to see technology transfer,” and promised that the state aside given tax incentives will purchase 10 STBs for every Cross Riverian employed by the company. The Chairman of the company, Mazi Sam Ohuabunwa in his remarks commended the federal government for it’s “thorough” planning and implementation of the digital switchover system and said it was the reason all were gathered there. “We are here because at some point in the history of this country, the country decided to digitalize and move away from analogue practices especially in the area of communication,” he said. Mr. Ohuabunwa said the company decided to participate in the provision of set top boxes and disclosed that the company has set up two factories in Calabar. “We have two factories here, a factory to assembly and a factory to produce as part of its backward integration,” said Mr. Samuel who also disclosed the company plans to go into everything electronic using indigenous technology.